In our ever-expanding, digital world businesses have the unique opportunity to interface more regularly with consumers. In turn, consumers are looking for authentic brand experiences across their social media platforms, loyalty apps, and general online usage. These micro-experiences are an important opportunity to engage customers and make them feel like a part of your brands. Is your brand doing everything it can to maximize micro-experiences across all digital channels and engage your customer base in an authentic way? We just released a white paper entitled Micro-Experiences: Key Secrets to Brand Loyalty, it takes a deep dive into micro-moments and how those tiny interactions turn into great rewards. That being said, let’s take a look at some brands leading the way with awesome, unique, and authentic micro-experiences. Papa John’s Pizza: Chicken and Waffles and Pizza, Oh my! One of the best ways to engage customers is with good old democracy. Just this past February Papa John’s urged it’s fans to hop on Twitter to vote for a new pizza flavor. Hot Honey Chicken and Waffles was the winner. Utilizing Twitter as a voting platform made it simple for its 602,000 followers to engage in the vote; no extra links, websites, or e-mails required. This democratic approach allowed customers to feel control in their brand experience and created an authentic micro-experience. Ulta is currently half-way through its 21 days of beauty campaign. Each day of the campaign offers an exclusive deal on select beauty products via the Ulta website and Ulta app. Customers that are members of the Ulta Rewards Program are able to earn points on their purchases. As more points are collected status can be elevated to Platinum or Diamond which leads to more offers and free shipping. Ulta keeps the customers engaged and excited, by offering these exclusive daily deals, reminiscent of the joys of an advent calendar. 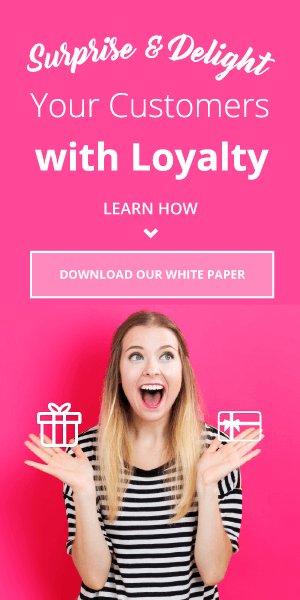 The integration of their loyalty program into this campaign allows them to attract new membership while keeping their current customer base satisfied. In the not so distant past of 2010, Sun Pacific and Odawalla teamed up to bring the world Califia Farms, a plant-based beverage company. 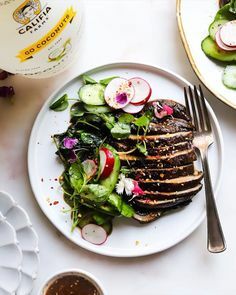 Califia is dedicated to promoting a plant-based lifestyle and offers easy to follow exclusive Califia recipes with “Cook Dinner” and “Wake Up” on their Instagram page. In turn, this has sparked an army of Califia Cooks, who share their own Califia recipes on Instagram and tag Califia Farms, a classic example of micro-experiences and UGC coming to together. Fruit of the loom is another great example of social media utilization. With 104.7 Million Americans on Instagram (Emarketer.com) it’s safe to say Instagram is one of the most popular used social media platforms. Fruit of the Loom is giving the Instagram world a chance to write their next jingle, simply by posting their jingle to Instagram with the #breathablejinglecontest and tagging @FruitoftheLoom. The winner receives $10,000, but the real winner here is Fruit of the Loom, who is increasing its social media base while benefiting from UGC. Brayola has exploded into the lingerie market, touting its diverse range of bras that use real measurements and not just a factory setting. Brayola offers a fun way guaranteed to find your best bra fit. This brief allows women to see their true fit. They ask about your favorite bras and build a custom collection just for you. This allows Thirdlove to gather user data for future reference and also helps the customer feel that they are part of a personalized, genuine experience. Taco Bell: Let’s Taco-bout it! Several brands have turned to Snapchat for creating the perfect micro-experience. Snapchat offers branded filters and many companies have such as Starbucks and Target have turned to this unique feature in an effort to promote their brands. However, one of the most successful filters to date has been Taco Bell’s Cinco de Mayo Filter which according to Wallaroo Media was viewed 224 MIllion times. The filter allowed users to transform their face into a taco and share with their friends, who wouldn’t want to see what they look like as a taco?! Back in 2004 Dove launched its real beauty campaign in an effort to be more inclusive in its advertising efforts. This campaign focused on showing women of all different shapes, sizes, and ethnicities. After research indicated that 70% of women still don’t feel represented, Dove recently launched their #showus campaign “more women who look like me”. They’ve teamed up with Getty Images to take photos of women from all over the world. Women also have the chance to tag themselves with the “show us” hashtag @dove to show Dove who they are and promote inclusivity. This campaign gets its consumer base involved, utilizes social media, and shows that Dove cares. Lyft: Does your friend need a lift? On the Lyft app there is a sidebar for “Free Rides”. When users click on free rides they see that all they have to do to get free rides is refer friends. Users can simply allow the app to sync with their contacts and then choose which contacts to send an exclusive referral code. As soon as the user’s friends and family sign up the user now has free rides in their “Free Rides” sidebar. This referral program is cleverly integrated into the app and requires minimal effort on the part of the user. Ellentube & Scotch: Teamwork makes the dream work! The Ellen Show and Scotch Tape teamed up for Ellen’s 12 Days of Giveaways, coinciding with the 2018 holiday season. Fans of the show could log on daily to win trips and prizes offered through Ellentube and sponsored by Scotch. Ellen fans were also encouraged to submit to the Scotch “Most Gifted Wrapper” photo contest, to show off their holiday wrapping skills. By teaming up together, both brands were able to cross-promote in a genuine and engaging manner across various channels, that directly engaged consumers. How can you master the micro-experience for your brand? Utilizing micro-experiences can take your business to the next level. With so many easy and authentic opportunities for direct customer interaction, it is important to seize any all opportunities for the micro-experiences. Download our white paper to take a deeper dive into micro-moments and how they create retention! Annex Cloud can help your business make the most of these interactions. Our strategists have decades of experience in creating and implementing marketing strategies for a variety of successful companies. Leverage our experience and boost your conversions. For more insight into implementing micro-experiences into your marketing and loyalty campaigns, talk to us at Annex Cloud today!